During the Sikh struggle for independance, the courageous Jujharoo Singh’s carried out numerous action which resulted in sleepless nights for the Delhi rulers. One such action worth mentioning took place as Shaheed Bhai Charat Singh Babbar re-enacted the history of Bhai Bota Singh and Bhai Garja Singh. It was in the year 1990/1991, fake encounters by the Punjab Police had become routine. Bhai Charat Singh had decided to tackle the security forces head on and assembled a squad of Babbar Khalsa Jujharoo’s. Around 4pm the group set up a roadblock on en-route from GT Road (Amritsar) to Batala Road and challenged the CRPF and Punjab Police to a real encounter. 2-3 hours had elapsed yet not a single Punjab Police or BSF/CRPF vehicle had passed by. Bhai Charat Singh spoke out to the Singhs and said “Now we are going to collect tax for Khalistan” the Singhs asked “How are we going to do that?” Bhai Charat Singh said for each car that passes the owner must pay 5 rupees tax and a 2 rupees charge for each truck driver. This was to send a message to the government that Jujharoo rule had been established and the Singh’s were openly collecting tax. According to eye-witness sources, truck drivers and car drivers were gladly paying the tax, in fact many where handing 100 rupee notes and suggesting to the Singh’s that the tax amount’s are too low, and that they should be raised. Bhai Charat Singh re-iterated the reasons behind the “taxing” and said we are only doing this to show the Punjab Police and Hindustan Government that the heirs to Bhai Bota Singh and Bhai Garja Singh’s legacy are still alive. Bhai Charat Singh then sent a written challenge to Sadar police station, Batala, stating that the Singh’s had blocked off the road, if your force is brave enough then come and face us. When this letter had no effect, Bhai Charat Singh had another letter delivered, this time to the area’s infamous and brutal police officer, Ajaib Singh. 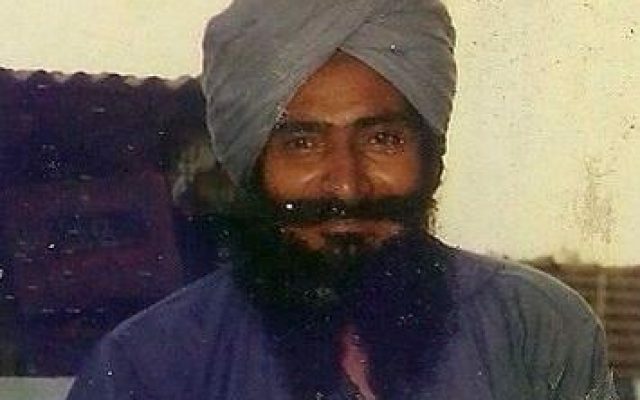 Upon reading Bhai Charat Singh’s written challenge, Ajaib Singh immediately called his superiors requesting CRPF forces to be deployed alongside the Punjab Police. As the CRPF forces and Punjab Police where heading towards the Singh’s, an argument broke out as to who should be leading the charge, with neither wanting to be the first to face the Babbar Singhs. Eventually they decided that 2 cars (1 of Punjab Police and 1 of the CRPF) would lead and 30-40 cars of both forces combined following. By this time the Singh’s, who had been waiting for a long a time decided to lift the roadblock and head back to their base. As the Singh’s were walking back, in the distance they noticed the flashing lights of the Punjab Police cars. The Singh’s began running back to the roadblock spot, and opened fire directed at the leading 2 vehicles. The number of security forces injured or killed in this firing is not known, however the ponds of blood on GT Road was compelling evidence suggesting a high number of casualites. The security forces were caught by surprise and could not pluck up the courage to even return fire at the Babbar Singhs. According to one source, one of the police officers from the leading vehicles tried launching a grenade at the Singhs, however such was the fear in his mind, that the grenade dropped from his hand into his own car causing it to explode. Upon seeing the heavy damage the leading cars had suffered, the 30-40 vehicles which where following, fearing for their lives, decided to retreat and sped off in the opposite direction.